Last Saturday Wigan Athletic’s under-18 team strengthened their leadership of the EFL Youth Alliance Group B with a 2-0 win over Rochdale. The first goal was scored by Scotland under-18 left back Luke Robinson with a beautifully struck free kick from well outside the penalty box. Another Scotland under-18 player, Kyle Joseph, got Wigan’s second with an opportunist tap-in. 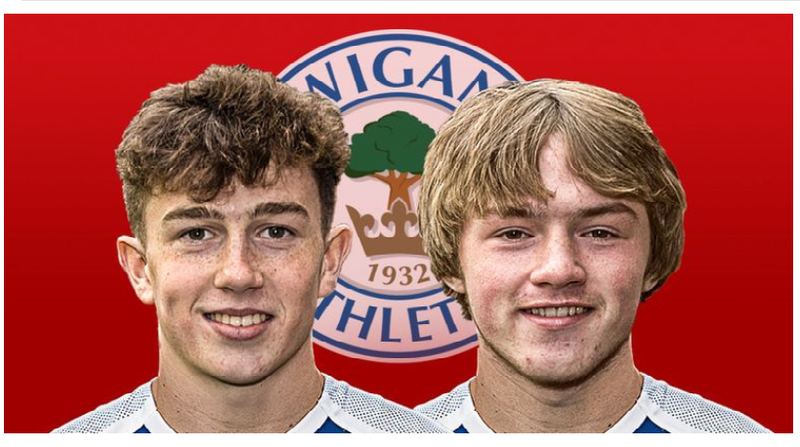 Wigan’s England under-17 striking sensation, Joe Gelhardt, did not play and his teammate at national level, Jensen Weir, came on after 88 minutes. Click here to see the highlights. 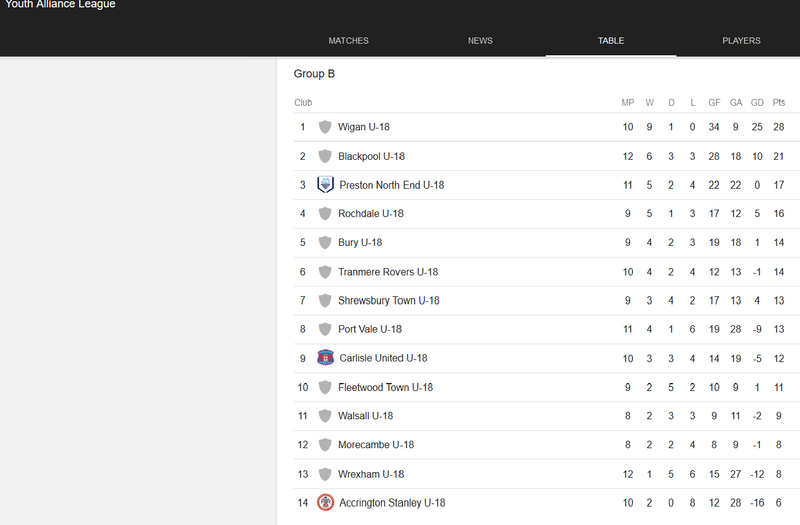 The Youth Alliance is effectively the third tier of U18 football. The Alliance consists of 49 teams divided into four groups on a geographical basis. The vast majority come from clubs in League 1 and League 2. Although Gelhardt, Joseph, Robinson and Weir represent their countries at international level they are confined to the third tier of English youth football. They cannot play in the top tier Premier U18 League or in the second tier Professional Development League. Over 23 years the Whelan family pumped in some £100m to keep Wigan afloat in the higher levels of English football. Like so many football clubs in the country, Wigan Athletic have rarely been able to accumulate enough revenue to exceed their outgoings. Put simply, the Whelans have had to constantly subsidise the club for it to punch above its weight. Despite eight years in the Premier League and an FA Cup win, Latics still have a small fan base compared with most clubs in the Championship division. In order to keep the fan base that they have it has been necessary to keep ticket costs that a level that has been economically unfavourable for the club. Moreover, commercial revenues have been low compared with other clubs in the upper tiers. The IEC, through the guidance of executive chairman, Darren Royle, will surely look at increasing commercial revenues. Royle will review season ticket prices in due course, but even a 20% increase in prices would not bring the club anywhere near to breaking even, let alone risk reducing the fan base. 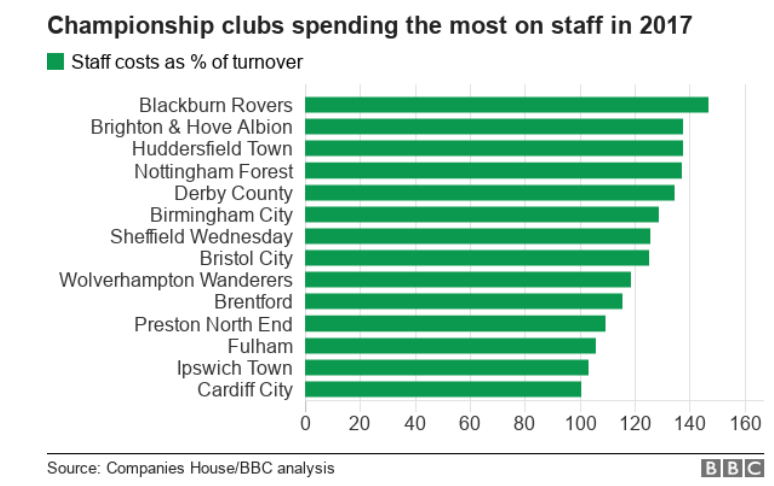 The club is basically a loss maker, as are the majority in the Championship with wages exceeding revenues. Barring significant sums coming in over the January transfer window Latics will lose in excess of £10m in the current season, in an attempt to consolidate in the division. Royle has set his sights on a return to the Premier League for the club, although he has not given any kind of timeline for it. His strategy is based on building a strong academy which can provide a constant stream of players for the first team. The first step is investing in the kinds of facilities and programmes that can elevate the Wigan Athletic academy to Category 2 status rather than the current Category 3. There are 7 Championship clubs that have their youth teams in the Premier U18 League, that which consists of clubs with Category 1 academies. Another 12 of them participate in the Professional Development League from clubs with Category 2 academies. Should Latics gain Category 2 status they would be largely joining clubs whose senior sides are in the Premier League or the Championship. But it is to be noted that League 1 clubs Barnsley, Charlton Athletic, Coventry City, together with League 2 Colchester United and Crewe Alexandra also compete at that level. There can be no doubt that Wigan’s talented youngsters would benefit from playing at a higher level that of the Youth Alliance. The move towards Category 2 status is to be commended. However, so often in recent years the club has had exciting young players whose development has been limited by lack of opportunity within the club. So many have fallen by the wayside. Critics will say that the club has so often nurtured young players on loan from upper tier clubs at the expense of its homegrown talent. It is something that Royle will need to look at in terms of not only developing homegrown youth, but as a part of overall recruitment policy. Jensen Weir (left) and Joe Gelhardt. Where will the likes of Gelhardt and Weir be some five years from now? Let’s hope they too don’t fall by the wayside.